Movement – Still nothing in the movement department. Some days I wonder if she is even in there? My belly has gotten bigger, so she must be! Sleep – Whoa, what a week. Weird things happened that made it hard for us to sleep (but they had nothing to do with pregnancy). My youngest daughter woke up us in the middle of the night Monday throwing up all over her bed. My husband took care of throwing her in the bath, while I stripped her bed and made my rounds on cleanup. We were up for at least an hour just trying to console her while she gagged repetitively. Ladies, this is why I say you should enjoy your first pregnancy. This is simply something you don’t have to deal with. EVER. It wasn’t two days later until an unreal storm came through our neighborhood, demolishing trees and cutting out our power. We sat in the basement until the storm passed (in fear a tree would fall on our house) before my husband jumped in bed with my youngest and I slept in the room beside our oldest. No night lights when the power is out. You don’t realize how dark it gets! Best Moments this Week – Gosh we had fun this week. I am surprised everyday with the things that happen (both with the family and professionally). 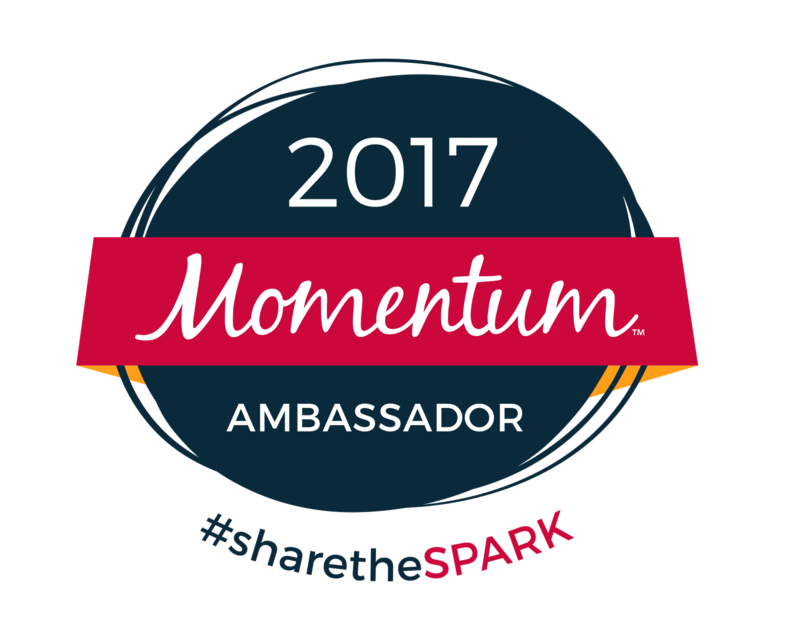 I got an email from Momentum Jewelry this week informing that I was named an official Ambassador for 2017. I couldn’t be more excited. I have given several of these pieces to both clients and friends. I also wear one almost every day myself. 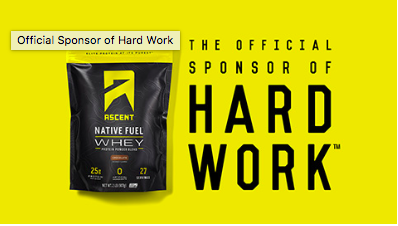 I will be holding some upcoming giveaways and sharing discounts over the time that I am an ambassador. This is something I am truly excited to represent. It is such an incredible gift idea. We got our photos back from the photo shoot the week before. I have to say, the photographer did an incredible job not making me look pregnant. I will be working with her again over the next few months to capture some images of my final pregnancy. Why are we wearing “Happy Birthday” props? Flywheel Charlotte is celebrating its 5th birthday March 18th. Save the date. This is something you don’t want to miss. Enough about me professionally, let’s talk family. These two girls are growing up faster than I could imagine. They really do thrive off of each other’s energy. Morgan is on a kick where she wants to wear her Peppa Pig pajama shirt every day. My oldest wants to be a movie star, opting to carry around a purse with bracelets. Going out to restaurants with them has been become much easier (if we pack the appropriate toys/books). They will actually sit and eat their meals now. They also love being as close to dad as possible when he is home. Cravings – Craft beer. Maybe it’s just the time of the year. It seems like everyone is sitting on patios or headed to breweries to enjoy this incredible time of the year. Could someone have OMB make an NA beer for pregnant women? Symptoms – Y’all things got weird this week. I mean really weird. To the point that I was afraid I was sleep walking. I woke up Friday morning and my hands looked like this. Trust me. I didn’t try to use tanning lotion and forget to wash my hands. I was freaked out a little (or a lot). I immediately texted my doctor who assured me that something on the surface of my hands would not affect the baby while we worked out trying to figure out what could have caused it. Her thought is that it may have been the result of using a cleaning product to absorb a mess in my refrigerator. It subsided by the end of the day and has not come back. Has anyone else seen anything like this? Workouts – I am very surprised how strong my body has stayed through week 16. I truly underestimate myself. I have been continuing to do consistent strength workouts at home to maintain basic body weight strength that I already had (including hanging and pull ups). I have been posting videos to not only hold myself accountable but show people it can still be done. I did this with my group, who was very supportive about what I was doing as compared to the speed they were going. I also taught a Flywheel class that afternoon. Saturday – With second trimester energy upon me and the fact that I am not subbing as many classes at Flywheel, I am trying to increase my mileage. I squeezed in a 5 mile run before training my OCR group that afternoon. On my easy run days (like today), I work on maintaining my average heart rate around 150bpm. This entry was posted in babies, Staying fit, workout and tagged flywheel, momentum jewelry, pregnancy, pregnancy and exercise, pregnancy symptoms, pregnant workouts, Week 16 pregnancy on March 6, 2017 by flyjenduf.